On August 25, 2003, NASA’s Spitzer Space Telescope was launched from Cape Canaveral on a Delta II rocket. Its primary mission lasted 2.5 years and its success led to a series of extensions even after it ran out of the liquid helium it had on board that was used to keep some instruments at very low temperatures, which determined the end of their use. Initially called the Space Infrared Telescope Facility (SIRTF), the Spitzer Space Telescope is the fourth of NASA’s Great Observatories after Hubble, the Compton Gamma-Ray Observatory (GRO), the only one that completed its mission, and Chandra. It specializes in observations at infrared frequencies. Its name is a tribute to the astronomer Lyman Spitzer, who in the 1940s started promoting the idea of ​​space telescopes. The SIRTF project had various problems, partly because originally it was supposed to be brought into a parking orbit by a Space Shuttle and from there a Centaur upper stage was supposed to take it to its final orbit but the Challenger disaster led to a change of plans. Eventually, it was launched on a normal rocket and put into a heliocentric orbit, where it essentially orbits the Sun chasing the Earth. 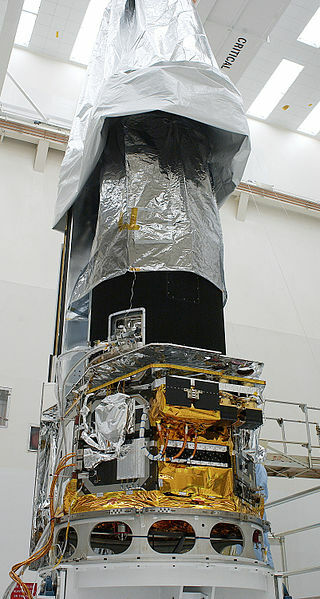 In 2009, the Spitzer Space Telescope ran out of the liquid helium that prevented emissions from its own equipment from interfering with its observations. This limited its functionality but the “warm phase” began, where the instruments that can still work keep on offering useful observations. Over the years, the Spitzer Space Telescope has been used for many different types of astronomical studies ranging from those in our “neighborhood” such as the ones of Saturn’s rings to others concerning very distant objects such as the galaxy GN-z11, which we see as it was 13.4 billion years ago, but these are just a few examples. In recent years, among the most important studies to which the Spitzer telescope has contributed, there are the ones on the TRAPPIST-1 system, at the center of attention after the February 2017 announcement of the confirmation of the presence of 7 rocky planets that orbit a tiny ultra-cool dwarf star. 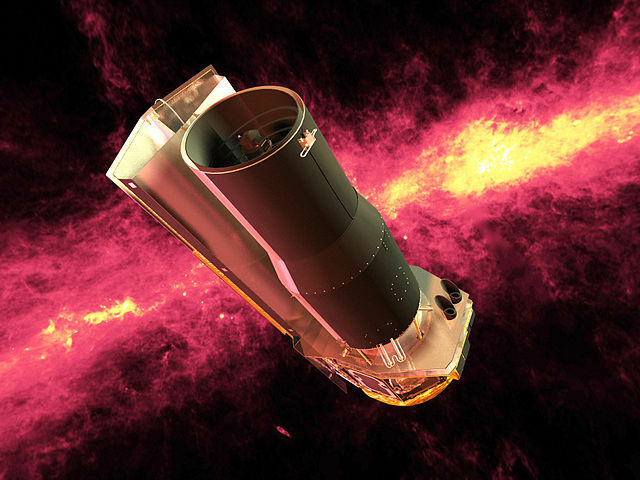 In 2016 the Spitzer Space Telescope began a new extension of its mission called “Spitzer Beyond”, whose duration is scheduled until November 2019. It’s progressively moving away from the Earth and this is becoming a problem because it has to orient itself towards the planet to send the data collected but for some time this has meant that its solar panels are no longer oriented towards the Sun during that task and must use its batteries to perform it. It’s a far from optimal solution as batteries degrade over time. These are problems that arise with instruments that are used well beyond their expected lifetime but at NASA they’re happy to deal with them. Spitzer is supposed to be operating at least until the James Webb Space Telescope’s activation but the delays are making the deed increasingly difficult.